WHITEWAY, Sir WILLIAM VALLANCE, lawyer and politician; b. 1 April 1828 at Buckyett, near Totnes, in Devon, England, youngest son of Thomas Whiteway and Elizabeth Vallance; m. first 1862 Mary Lightbourne of Bermuda (d. 1868), and they had a daughter; m. secondly 1872 Catherine Anne Davies of Pictou, N.S., and they had six children; d. 24 June 1908 in St John’s. Since the Whiteway family had long been connected with the Newfoundland trade, it was not unusual that William Whiteway should have been sent to St John’s in 1843, after an education at Tomes Grammar School and a private school in Newton Abbot. He was apprenticed to a merchant, but later decided to train for the law. He was called to the Newfoundland bar in 1852. At the start of his career, Whiteway appears as a conventional enough figure. Closely allied with the mercantile élite, active in the Anglican church, and a keen mason, he supported the Conservative party led by Hugh William Hoyles*, and tended a prospering law practice. Among his clients was Charles James Fox Bennett*, one of the colony’s most prominent merchants and the promoter of its first copper mine, at Tilt Cove. When Whiteway entered politics in 1859 he ran under Bennett’s patronage in the district of Twillingate and Fogo, which included Tilt Cove. From this period dates his growing conviction that Newfoundland had considerable mineral and agricultural potential and his concern, as a member for a remote northern area, with improved year-round communications. In 1865 Whiteway received tangible marks of favour from the new Conservative government of Frederic Bowker Terrington Carter* in the shape of a qc and the speakership of the House of Assembly. He was now a rising political star, having clearly stated his confederate sympathies soon after the publication of the Quebec terms in December 1864. His support for union with Canada outraged Bennett, who had emerged as the leading anti-confederate. Their acrimonious dispute diverted readers of the St John’s press, but seriously reduced Whiteway’s chances of re-election. In 1869 he and his running mate found themselves opposed by the combined influence of Bennett and the local merchant house, and were soundly defeated. The following year Bennett took over the premiership. 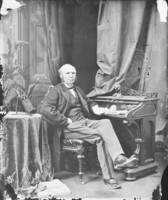 Whiteway’s support for confederation was based on his conviction that it would improve the colony’s chances for economic diversification and prosperity, while breaking down its isolation. Given his ambition, it can be supposed that he was also attracted by the prospect of a wider political stage. But after the defeat of confederation in 1869 he ceased actively to promote it and turned his attention to the colonial arena. Though temporarily out of the assembly, he remained involved in Conservative party affairs. He was a member of a ginger group determined to remove the Bennett government by fair means or foul. Thus the Conservatives began to combine assurances that confederation was dead with sectarian attacks on the government designed to remind Protestants of Bennett’s reliance on the Catholic vote. In the 1873 election Bennett’s majority was severely reduced, and Whiteway returned to the assembly as a member for Trinity Bay. 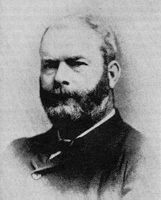 Early in 1874 Carter resumed the premiership, Bennett’s majority having evaporated, and his party’s position was confirmed in an election that fall. Whiteway was appointed solicitor general in the new administration. His major responsibility was the preparation of the Newfoundland case to be presented to the fisheries commission at Halifax in 1877 [see Sir Albert James Smith*]. This tribunal sat to assess the monetary value of the difference between the fishery privileges given Americans in British North American waters under the Treaty of Washington (1871) and those granted British subjects in American waters. Whiteway did most of the work for Newfoundland, producing a claim for $2,880,000 and arguing it ably before the tribunal. The colony was eventually awarded $1 million, which earned Whiteway the formal thanks of the legislature, and a knighthood in 1880. A major part of his case was the value to foreign banking fleets of access to Newfoundland bait supplies. He regarded bait afterwards as a potentially valuable bargaining lever not only with the Americans, but also with the French, whose presence at Saint-Pierre and on the west and northeast coasts of Newfoundland (the area known as the Treaty, or French, Shore) was a persistent irritant. 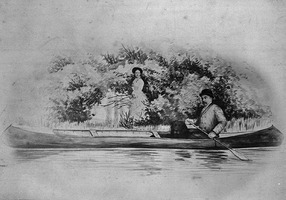 Both Whiteway and Carter were convinced that the colony’s prosperity depended on a modification of France’s ancient rights, particularly since the surveys of Alexander Murray* had suggested that the Treaty Shore contained valuable natural resources. The Carter government pressed for powers to appoint magistrates and make land grants there, demands to which the Colonial Office reacted with extreme caution. Whiteway’s frustration was such that, much to the annoyance of Governor Sir John Hawley Glover*, he began to drop remarks about the disadvantages of the imperial connection, and the advantages that might result from annexation to the United States. His comments were probably designed only to remind London of the colony’s dissatisfaction. In fact, throughout his career he was to voice his resentment of what he saw as the British government’s willingness to sacrifice Newfoundland’s interests to those of more powerful countries. Whiteway assumed the premiership in April 1878, determined to make his mark and armed with ambitious plans. If Newfoundland’s future lay in the development of its land-based resources, then two things were necessary. First, a railway should be built across the island in order to open up the interior; and second, a deal had to be struck with the French which would allow the industrial development of the west coast. He also wanted to see St John’s grow into a major port, and advocated building a large dry dock there. These plans depended on the cooperation of the imperial government, which alone could deal with the French, and which, it was hoped, would assist in the railway and dock schemes for strategic reasons. 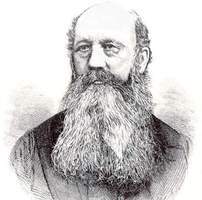 Whiteway pressed his case in London in 1879. The Colonial Office was sympathetic, if only because Whiteway proved to be less intransigent than many Newfoundlanders on the subject of the French Shore. A meeting was arranged between him and the French foreign minister, where he impressed the British ambassador with his “ability, tact and indeed moderation.” But nothing concrete came of the interview, and the British government refused assistance for dock and railway building, on the grounds that these were works of domestic rather than imperial significance. There were eventually some concessions from London. In 1881 the colonial government was granted sole authority to appoint magistrates on the French Shore and allowed to make conditional land grants there; and by the time of the 1882 election, settlers on the west coast were able to vote. This process of incorporating the shore into the colony’s administrative framework had started under Carter, and Whiteway would have liked to complement it by welding the two sides of the island together with his projected railway. But besides refusing financial assistance, the British government was reluctant to allow a terminus on the west coast. Whiteway fell back on a plan for an east coast railway which might in time form part of a trans-island line. His proposal that a narrow-gauge line be built from St John’s to Halls Bay was approved by the legislature in 1880. Tenders were called, a location survey was started, and a heated public debate sprang up that presaged new political divisions. The first rumblings of opposition came from among Whiteway’s Conservative supporters, as some of the larger fish merchants began to voice serious misgivings at “an experience so new, so expensive, so divergent from our ordinary habits and wants, and at the same time so irretrievable in its results for good or evil.” They feared that the scheme might well lead to colonial bankruptcy and confederation, and in the process severely harm their businesses. Under the name of the Newfoundland Railway Company the Blackman syndicate began work in 1881. The following year the syndicate made two further agreements with the government. The first was for a charter to build a direct, standard-gauge line across the island as part of a transatlantic “Short Line” system, and the second for a contract to construct a dry dock at St John’s. These three ambitious agreements were the central issue in the 1882 election. Whiteway’s Conservatives, now in open and formal alliance with the Liberals and trumpeting the virtues of the new “Policy of Progress,” faced an amorphous New party headed by James Johnstone Rogerson. This was merchant-oriented, exclusively Protestant, and had the difficult task of trying to persuade the voters that Whiteway’s policies were unwise and dangerous. It failed, and Whiteway won a large majority; his position seemed impregnable. Yet Whiteway’s second ministry was to collapse within three years. The Blackman syndicate proved to be undercapitalized and inefficient. The railway company was in financial difficulties by late 1882, work on the main line halted in the spring of 1884, and bankruptcy soon followed. The dock contract was transferred to another concern, and the direct line was never started. Moreover, the colony moved into a period of profound economic crisis. The New party regrouped for a concerted attack, arguing that potentially expensive schemes such as the railway should be suspended, and attention concentrated on the fishery, which was suffering from severe competition in European saltfish markets. Believing that a major cause of the difficulties was the expansion of the subsidized French fishery on the Grand Banks, the New party advocated attacking the French bankers by preventing the export of bait fishes from Newfoundland’s south coast. In contrast, Whiteway’s view was still that the development of the interior and the west coast was of primary importance, and that a deal with the French was preferable to economic warfare. Indeed, by 1883–84 the Whiteway government and the Colonial Office were discussing an agreement whereby the French would loosen their hold on the Treaty Shore in return for access to Newfoundland bait. A draft convention on this basis was subsequently accepted by France. To the New party this was a suicidal policy. Its leaders began to mobilize Protestant opinion against Whiteway’s reliance on Catholic support. This strategy was aided by religious tensions aroused in the wake of an affray at Harbour Grace in December 1883. Nineteen Catholics were arrested and charged with the murder of four Orangemen. Their acquittal in two trials, in which Whiteway led the prosecution, destroyed the Conservative-Liberal coalition. Early in 1885 Orangemen in the assembly moved an amendment which referred to the trials as a “disgraceful failure of justice.” Whiteway’s subsequent behaviour was conditioned by his desire for political survival and also by a latent anti-Catholicism. He appears to have calculated that his best chance lay in jettisoning his Catholic supporters and making a bid for the leadership of a united Protestant party. He therefore drafted an amendment which avoided criticizing the Supreme Court but nevertheless contained wording offensive to Catholics. His Catholic supporters – including Shea and Robert John Kent* – were forced into opposition, but Whiteway was unable to obtain the leadership of a Protestant party. Instead, a series of Byzantine moves resulted in the formation of the Reform party under the compromise leadership of Robert Thorburn. Whiteway resigned the premiership early in October 1885, and did not run in the election which followed. The agreed price was a seat on the Legislative Council and the reversion of the chief justiceship. 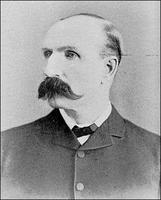 Whiteway was widely criticized for abandoning his party and for weakness in not contesting the election, and with some justification. But it should be remembered that by the fall of 1885 he was politically isolated and that electioneering would have done him little good. Whiteway received a seat neither on the bench nor in the upper house, and was soon moving restlessly in the wings. Nevertheless, he seems to have been ambivalent about an early return to public life. In July 1887 Robert Bond* and Alfred Bishop Morine*, who were sitting in opposition as independent Whitewayites, bluntly demanded that he make tip his mind whether to enter active politics again; if not, they would either seek other allies or retire. In September Whiteway announced his return. If Bond looked to Whiteway to lead a revived party, Morine, a devious Nova Scotian, was more interested in obtaining his acquiescence in an elaborate scheme to bring Newfoundland into confederation. 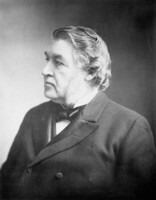 At Morine’s prompting Sir Charles Tupper* visited St John’s in October 1887, and he raised the matter with the Thorburn government and with Bond and Whiteway, both of whom apparently indicated that they were sympathetic. 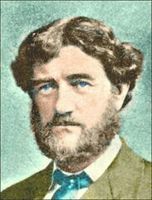 There was hope that confederation might be carried by a coalition of the Whiteway party and a confederate faction within the Reform party whose most prominent member was James Spearman Winter*. The plot collapsed in 1888 when Bond concluded that for the party to associate itself with confederation would be unwise, and exerted pressure on Whiteway to resist Morine’s influence. Tupper told Sir John A. Macdonald* that Whiteway’s change of mind had killed confederation, and it had certainly been an important factor. But it was by no means the only one; few Newfoundland politicians would risk their careers for the sake of union with Canada. Whiteway could have contested a by-election that fall and returned to the assembly. He chose not to do so, and concentrated on building a party for the 1889 election. Since the old Catholic Liberal party had finally expired in 1886, Whiteway now appropriated the Liberal label. But his manifesto and slogans were direct descendants of the Conservative campaigns of 1878 and 1882. “Vote for the Friend of the Workingman and the Apostle of Progress,” shouted the Evening Telegram. The attractiveness of the Liberal campaign, with its pledge to complete the railway, combined with the unpopularity of the Reform government gave Whiteway a substantial victory. This was the first Newfoundland general election in which the secret ballot was used, and contemporaries thought that it allowed the expression of a class prejudice to which the Liberals appealed with their anti-mercantile broadsides. The election took place early in November, but it was more than a month before Whiteway took over. Though his party and cabinet were composed of relatively inexperienced men – he alone had held executive office – Whiteway was no longer the energetic and dominant force that he had once been. The collapse of his previous government and his time out of active politics seem to have left him more of a trimmer, and reliant on such colleagues as Bond and Augustus William Harvey. His party was prone to factionalism, and as a result the government tended to lack decisiveness, particularly in handling difficult external affairs. The New party’s rejection of the draft French Shore convention negotiated by Whiteway and the enforcement of the Bait Act of 1887 [see Thorburn] had ushered in an acute period of disputes over the Treaty Shore. The central issue now was whether the French – or any fishermen for that matter – had the right to take and can lobsters there. The British government from past experience thought that Whiteway would prove more conciliatory than his predecessors. Instead it found him just as obstinate. There were two reasons. Within the party Bond and Harvey exerted considerable influence, and both opposed further concessions to the French. Outside it, the Reform party formed the Patriotic Association expressly to embarrass the new government by beating the patriotic drum. The occasion was the signature of an Anglo-French modus vivendi in March 1890 to govern the lobster fishery which, in its final form, had not received colonial approval, and which appeared to make concessions to France. The situation was complicated by the realization that no legislation existed authorizing the British government to enforce the French Shore treaties. The Colonial Office tried to persuade Newfoundland to pass the necessary bill, but any chance of cooperation was scuttled when, bending to Canadian pressure, the British government refused to allow a draft reciprocity treaty that Bond negotiated with the United States late in 1890. Never enthusiastic about reciprocity, Whiteway none the less joined in the furious protests which emanated from St John’s, and his government retaliated by refusing to grant bait licences to Canadian vessels. The Canadians reacted by once again floating the idea of confederation, but to no avail. In London, the imperial government prepared to pass legislation enforcing the French treaties. The Newfoundland legislature at once dispatched a delegation, headed by Whiteway, charged with preventing the passage of what was known locally and evocatively as the “Coercion Bill.” On 23 April 1891 Whiteway addressed the House of Lords in an able speech which was apparently well received. His offer to adopt temporary legislation for the 1891 season while the terms of a permanent act were settled was eventually accepted, though it proved difficult to persuade the legislature in St John’s, where Bond was in full patriotic cry, that this was the best available compromise. There was, however, no settlement of the dispute with Canada, and in December 1891 a tariff war began between the two neighbours. If the House of Lords speech had been one of Whiteway’s finer moments, the 1892 session saw what was probably his greatest humiliation. His cabinet refused to adopt as a government or party measure the draft permanent bill that he had spent much of the previous summer negotiating in Britain. Deserted by his colleagues and by all members of the London delegation except Harvey, he had to introduce the bill as a personal measure. It was defeated on the grounds that it conceded too much to the French and froze a situation which it was to the colony’s advantage to keep fluid. Whiteway’s argument that the house was reneging on a commitment was ignored, as was his warning that its intransigence would doom the planned imperial guarantee for a Newfoundland development loan. Whiteway never forgave Bond for his prominent role in this affair. It must have given him some bleak satisfaction, then, that the 1892 session saw an end to Bond’s policy of retaliation against Canada. The two governments agreed to resume the status quo ante pending a conference to discuss outstanding disputes. A meeting at Halifax in November 1892 achieved little, however. The Newfoundland side, headed by Whiteway, refused to discuss confederation; and the Canadians refused to drop their objections to Newfoundland’s negotiating a separate reciprocity treaty. Newfoundland learned that in its external affairs its policies were to be subordinate to Canadian as well as imperial interests, a lesson which Whiteway much resented. Outside élite political circles the arcana of external relations had little relevance. Far more important to most voters was the fact that the Whiteway government had delivered on its promise to resume railway building. In 1890 a contract had been signed with Robert Gillespie Reid of Montreal to complete the line to Halls Bay. In 1893 the government concluded two further contracts with Reid, which provided for the continuation of the railway to Port aux Basques (Channel-Port aux Basques), on the west coast, and that Reid would operate the system for ten years. The rebuilding of St John’s after the great fire of 1892 (which had destroyed Whiteway’s law office) also contributed to maintaining relatively high levels of employment. As a result, though the government was subject to serious internal strains, it stood to win the 1893 election if it held together. Since Whiteway was a popular figure with the electorate, there was no challenge to his leadership. The campaign was expensive and bitter, but the Liberals won with a comfortable majority. The opposition Tories were now guided in matters of strategy by Morine. Early in 1894 they counterattacked by filing petitions alleging corrupt practice against Whiteway and 16 other Liberals. The judgement in the first case to be heard unseated two Liberals on the grounds that they had manipulated public funds to influence voters. Whiteway was outraged that normal practice should be judged corrupt practice, and realized that all those petitioned against were likely to lose their seats. He therefore asked Governor Sir John Terence Nicholls O’Brien to agree either to a bill indemnifying those petitioned against or to a dissolution. 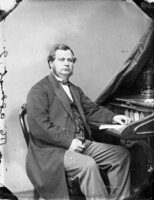 O’Brien refused to intervene, and on 11 April the Whiteway government resigned, to be replaced by a minority Tory administration led by Augustus Frederick Goodridge. Though supply had not been passed, the legislature was prorogued indefinitely while the court worked its way through the petitions. Whiteway’s behaviour over the next few months was less than dignified; indeed, O’Brien reported a rumour that “through rage and vindictiveness Sir W. Whiteway has gone off his head.” In mid June Whiteway led a mob along Water Street in St John’s to demonstrate against the collection of customs duties after the supply legislation had expired. Violence was averted only by the arrival of mounted police. This incident marked the high point of political tension, which thereafter subsided. The government lost a temporary majority achieved once the election trials were over, since by-elections in the fall returned Liberal members – though not those who had been unseated, including Whiteway, for they were disqualified from sitting in the existing house. The Tories hung on until December, when they resigned following the crash of the two local banks [see James Goodfellow*]. 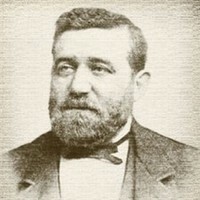 A Liberal administration was formed by Daniel Joseph Greene, which in turn introduced legislation to remove the disqualifications from the unseated members. Once this had been approved by a humiliated governor, Greene resigned. By 8 Feb. 1895 Whiteway had formed a government. He eventually found himself a vacant seat representing Harbour Grace. The country’s situation was desperate. The bank crash caused a severe if temporary disruption in trade, and the government was on the verge of bankruptcy. Unable to raise a loan, and unwilling to submit to an inquiry by royal commission which was the prerequisite for imperial aid, the Whiteway government dispatched a delegation to Ottawa in late March to discuss confederation. It was led by Bond, Whiteway apparently suffering from “severe nervous depression and internal complications” caused by mental strain and overwork: hardly surprising, given the events of the previous year and his loss of $26,000 in the bank crash. The negotiations foundered on British parsimony and Canadian caution. In a final attempt to stave off default and imperial intervention, Bond set off for Montreal to try to raise a loan. Aided by R. G. Reid, he managed what many had thought impossible: his success clearly marked him out as the successor to the 67-year-old Whiteway. The Liberal government’s political position deteriorated over the next two years. The economic situation remained difficult, and sorting out the implications of the bank crash proved to be lengthy and controversial. The senior members of the party were divided, the new governor, Sir Herbert Harley Murray, was hostile, and morale seems to have collapsed. While Whiteway was in London in 1897 for Queen Victoria’s diamond jubilee celebrations and the Colonial Conference, Bond and Edward Patrick Morris* did little if any organizing for the election to be held that fall. In the event the Liberals trotted out much the same propaganda as in previous contests. This time it was not enough. The railway was virtually complete, the price of fish was at its lowest point for 45 years, and promises of a new Newfoundland seemed hollow. The Tories under James S. Winter ran an imaginative campaign and won a comfortable majority. Whiteway was defeated in his old district of Trinity Bay. Whiteway did not retire with grace and dignity. He remained titular head of the Liberal party until October 1899 when Bond, who had been leading it in the assembly, took over in confused circumstances, some claiming that the old man went voluntarily, others that he had been knifed. In any case, it did not take long for Whiteway to open hostilities once Bond became premier in 1900. He launched a lawsuit claiming $21,000 from the government for various services performed over many years, and in November 1901 let it be known that he intended to return to public life. His support of a Tory candidate at a by-election in 1902 showed that he would be opposing the government, ostensibly because of the way in which Bond had handled the revision of the unpopular railway contract that Winter and Morine had negotiated with Reid in 1898. However, it is hard to escape the conclusion that Whiteway was driven by a deep-seated personal resentment against Bond and his former party. He criticized the terms of the French Shore settlement of 1904, as well as Bond’s forest policies. 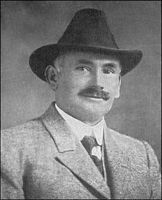 Unable to come to terms with other opposition groups, he prepared to lead an independent party in the 1904 election. Eventually he did amalgamate his following with others in the United Opposition party, which ran several former premiers as candidates. The party and all the ex-premiers were defeated; and, in a sad end to his career, Whiteway came bottom of the poll at Harbour Grace. There was sadness in his personal life as well. In 1899 his daughter by his first marriage had died in South Africa, where he travelled to fetch the body home. Between 1905 and 1908 three of the six children of his second marriage passed away. In the latter year Whiteway himself died at the age of 80 after half a century in public life, and 14 years as a premier, a record unmatched by any other Newfoundland politician in the pre-confederation period. The principal monument to Whiteway’s contributions was, until the rails were taken up in 1989, the Newfoundland Railway. A central and consistent theme of his career was his conviction that the Newfoundland economy could be diversified through the development of land-based natural resources, and that the indispensable key was the construction of a railway through the interior. His determination in the face of widespread hostility and suspicion ensured that the railway was built, and that St John’s received its first dry dock. A linked concern was a new French Shore agreement which would allow economic development on the island’s west coast. Whiteway showed considerable skill in obtaining concessions from London and in negotiating the draft Anglo-French convention of 1885. His policies foundered in the mid 1880s with the crisis that engulfed the Newfoundland economy during the last 20 years of the 19th century, and thereafter he became a less confident leader. His governments were characterized by dissension., and he was himself frequently criticized for weakness. By the early 1890s he would have liked to have left politics to become chief justice or a colonial governor. Neither position came his way, however, and being reluctant to retire simply to practice law, he carried on to a humiliating defeat and an embittered old age. There were those who reckoned that Whiteway stayed on because of the opportunity to make money – an accusation supported by an estate valued in 1908 at $76,000 in spite of his losses in the bank crash – and because he liked popular acclaim. True though these observations may be, it should not be forgotten that Whiteway had a genuine if overly optimistic vision of Newfoundland’s future; and that behind the public bitterness of his later years was a man who, in his personal life, was well liked for his charm, humour, and geniality, and for his long service to the Anglican church and the masonic order. Not brilliant as a lawyer or politician, and with ambitions that outstripped his abilities, Whiteway nevertheless made a significant mark on Newfoundland’s history, if only because he was the first to articulate visions of future prosperity that became the common coin of many politicians who followed him, including Joseph Roberts Smallwood*, who clearly saw himself as part of the Liberal tradition that Whiteway had begun. A volume of Whiteway’s remarks reprinted from newspapers was published in St John’s around 1904 as Duty’s call; Sir William Vallance Whiteway states his position. Arch. du Ministère des Affaires Étrangères (Paris), Corr. consulaire, corr. politique, Terre-Neuve, II: 178 (mfm. at NA). British Library (London), Add. ms 43556 (Ripon papers): 143. Centre for Newfoundland Studies, Memorial Univ. of Nfld (St John’s), Arch., COLL-26 (W. V. Whiteway papers). Maritime Hist. Arch., Memorial Univ. of Nfld, Keith Matthews coll., ser.I, Whiteway name file. NA, MG 26, D, Monroe to Middleton, 1892. PANL, GN 1/3/A, note by Carter, 24 Nov. 1885. Private arch., Sir Robert Bond papers, Bond and Morine to Whiteway, 25 July 1887; Bond to Whiteway, 30 Aug. 1888; Morris and Horwood to Bond, 29 June 1895; R. E. P. Cecil, 6th Marquess of Salisbury (Hatfield, Eng. ), Papers of R. A. T. Gascoyne-Cecil, 3rd Marquess of Salisbury, Salisbury to Lyons, 17 July 1879; Lyons to Salisbury, 4 Aug. 1879. PRO, CO 194/191–227; PRO 30/6, 37: 375. Supreme Court of Newfoundland (St John’s), Registry, Probate records for W. V. Whiteway. Colonist (St John’s), 22 Sept. 1887. Courier (St John’s), 10, 17 March, 17 April 1860. Daily News (St John’s), 23 Nov. 1901, 25 June 1908. Day-Book (St John’s), 4, 7 March 1865. Evening Herald (St John’s), 28 Jan., 3 May, 30 Oct. 1899; 11 Aug. 1900. Evening Telegram (St John’s), 21 March 1895, 27 June 1908. Morning Chronicle (St John’s), 9–15 Nov. 1865, 13 Feb. 1869. Newfoundlander, 15 Dec. 1859; 2 Feb., 13 April, 20 July 1865; 1, 5 Feb. 1866. Newfoundland Express (St John’s), 19 April 1862, 10 March 1863. Public Ledger, 15, 29 March, 2 April, 24 June 1881. Royal Gazette and Newfoundland Advertiser, 12 Jan. 1860. Telegraph (St John’s), 6 Nov. 1867, 22 Dec. 1869. D. J. Davis, “The Bond-Blaine negotiations, 1890–1891” (ma thesis, Memorial Univ. of Nfld, 1970). Hiller, “Hist. of Nfld.” W. D. MacWhirter, “A political history of Newfoundland, 1865–1874” (ma thesis, Memorial Univ. of Nfld, 1963). Harvey Mitchell, “Canada’s negotiations with Newfoundland, 1887–1895,” Historical essays on the Atlantic provinces, ed. G. A. Rawlyk (Toronto, 1967), 242–59; “The constitutional crisis of 1889 in Newfoundland,” Canadian Journal of Economics and Political Science (Toronto), 24 (1958): 323–31. James Murray, The commercial crisis in Newfoundland: cause, consequences and cure (St John’s, 1895). Nfld in 19th and 20th centuries (Hiller and Neary). W. G. Reeves, “The Fortune Bay dispute: Newfoundland’s place in imperial treaty relations under the Washington treaty, 1871–1885” (ma thesis, Memorial Univ. of Nfld, 1971). G. F. G. Stanley, “Further documents relating to the union of Newfoundland and Canada, 1886–1895,” CHR, 29 (1948): 370–86. F. F. Thompson, The French Shore problem in Newfoundland: an imperial study (Toronto, 1961). J. K. Hiller, “WHITEWAY, Sir WILLIAM VALLANCE,” in Dictionary of Canadian Biography, vol. 13, University of Toronto/Université Laval, 2003–, accessed April 24, 2019, http://www.biographi.ca/en/bio/whiteway_william_vallance_13E.html.